Maine’s local governments and other quasi-governmental entities must meet certain financial reporting requirements for the State of Maine, State agencies, local agencies, outside parties, and for funding requirements. LG&H can provide audit, review, and compilation services for your government or quasi-governmental entity to meet these and other specific needs. Many governmental entities are facing increased scrutiny on their accountability over public funds. An independent audit can help increase the public’s confidence and trust in how an entity’s officials are managing their tax dollars. An independent audit will also provide an informed opinion on the financial statements, a review of the accounting and internal control systems, and recommendations for improvements. The quality of the audit depends heavily on the auditors’ specialized knowledge of governmental entities and the care they take in applying auditing standards. 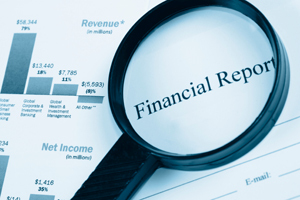 We have the knowledge and experience to help you achieve your financial reporting goals and to evaluate the effectiveness of your internal controls for better financial reporting. Some governmental entities have no specific audit requirement, but want some assurance that the financial statements are prepared in accordance with accounting principles generally accepted in the United States of America. In these cases, LG&H will perform certain review procedures and make inquiries of management to determine if any changes to the financial statements are necessary. Other governmental entities just need financial statements but do not have the time and/or the expertise to prepare their own. Here LG&H will work with you in presenting your financial information in a manner that is in conformity with accounting principles generally accepted in the United States of America; however no assurance will be given. Tell us about the entity and we will follow up on whether the entity is complying with its financial reporting requirements.